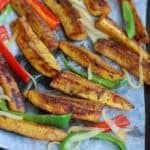 Roast Jerk Plantains- These “Good Guys” here, will sure get you excited about plantains, whether you are a fan or still iffy about plantains. 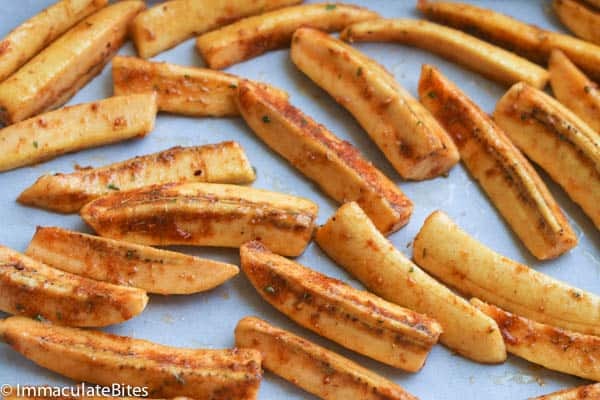 They are healthy – baked not fried, sweet, spicy and a tropical delight. Topped with onions and bell pepper and you have yourself a vegan meal or side if you prefer. Sometimes you think you know exactly what you want when you head to the kitchen, then again, along the way, something changes in a split second. And then you know exactly what you want. Am I making any sense to you? Anyways, that’s what happened here, with these plantains. 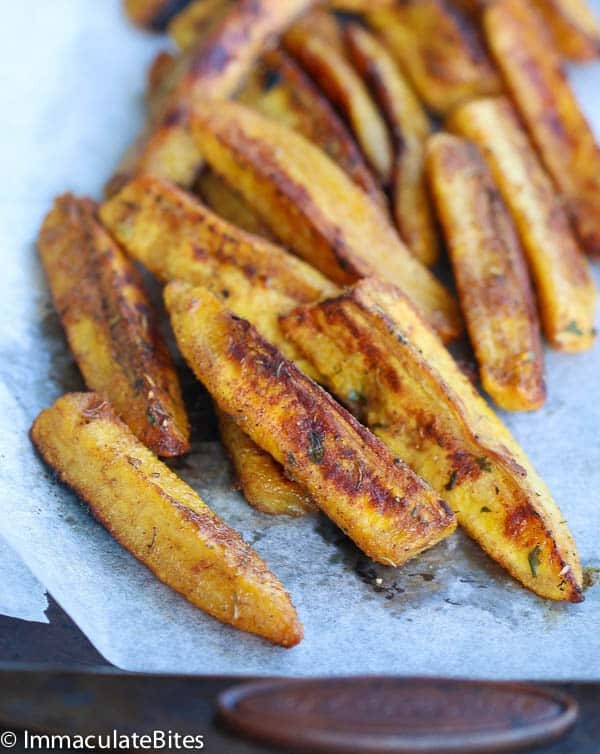 I wanted to make some simple roast plantains, knew exactly what I wanted and things changed. As soon as I saw this jerk seasoning on the counter . 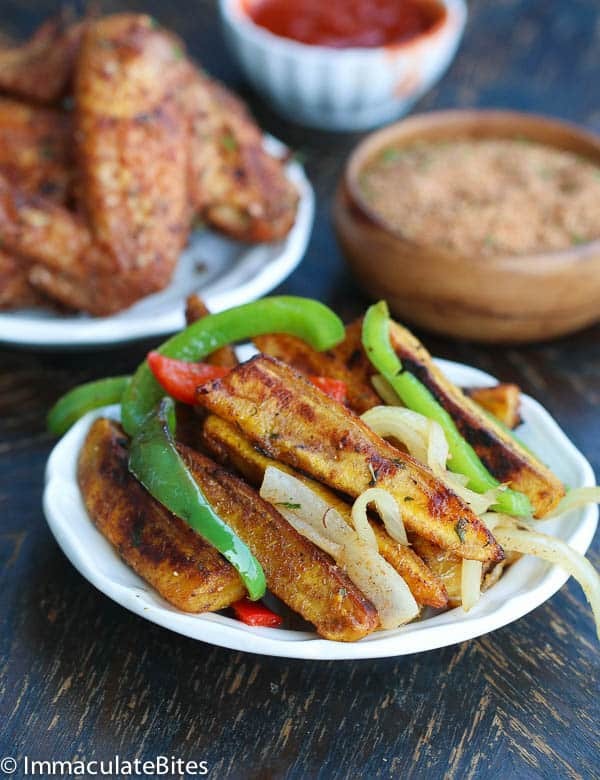 Jerk plantains is what am having. And It has been a favorite for a while now . 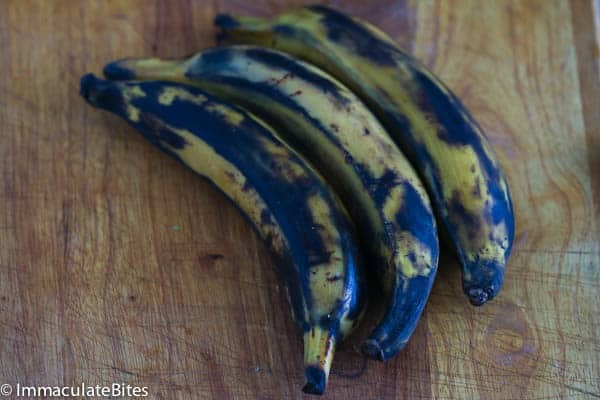 I contemplated for a while what to call these ; Jerk plantains? 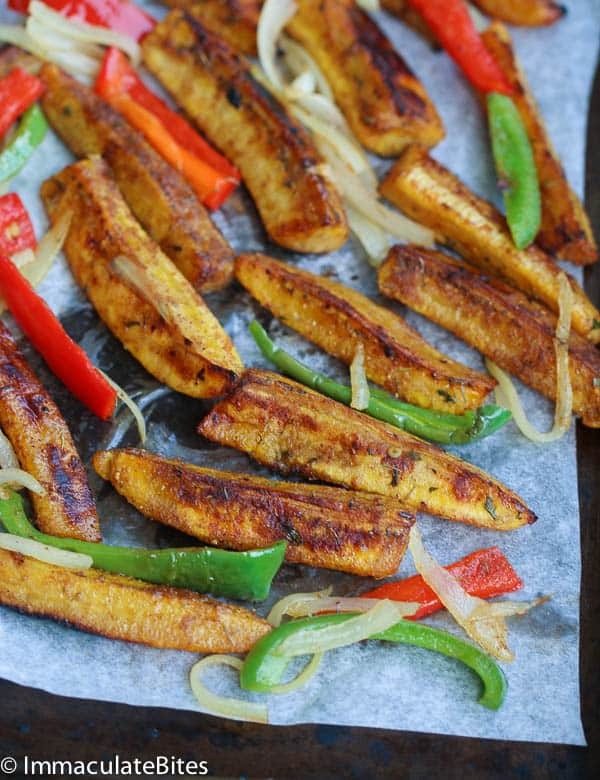 Spicy Plantains with bell pepper and onions? 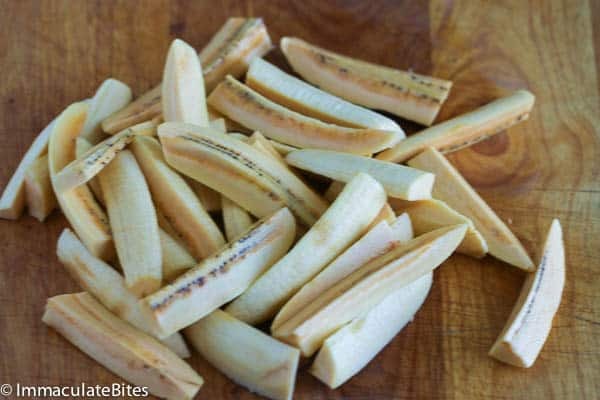 Roast plantains? Decisions decisions what’s girl to do? Try pairing it up with these chicken wings right here and you will be dancing like James Brown. Cut in half cross way, then cut in half length ways and cut further into desired uniform strips. 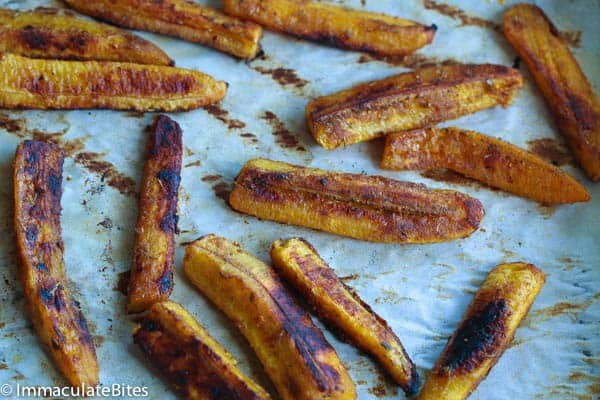 Line a baking sheet with foil or parchment paper and place the plantains in a single layer. Add sliced onion in hot oil in a skillet for about one minute. Those plantains and veg look awesome roasted. It’s crazy how good you can make low calorie dishes look so good! Keep up the good work! I’ll be sure to check back! Thanks Dave, they sure taste Great! This was was absolutely delicious! 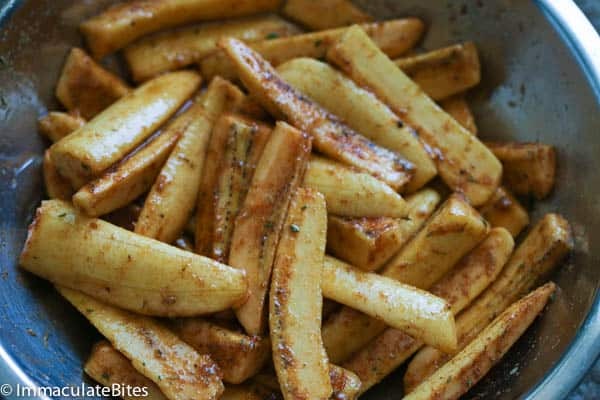 My hubby loves fried ripe plantains, so this gave him the illusion of fried plantains. Thanks Immaculate. It works overtime with my hubby too! Immaculate these look absolutely divine! I can’t tell you how many times I step into the kitchen with a plan and then it all goes pear shaped, usually for the better. 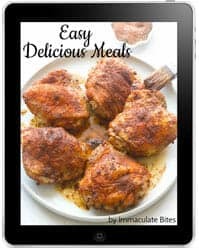 🙂 I am a plantain and jerk lover so this sounds like the perfect combo!! Hi Krystal! 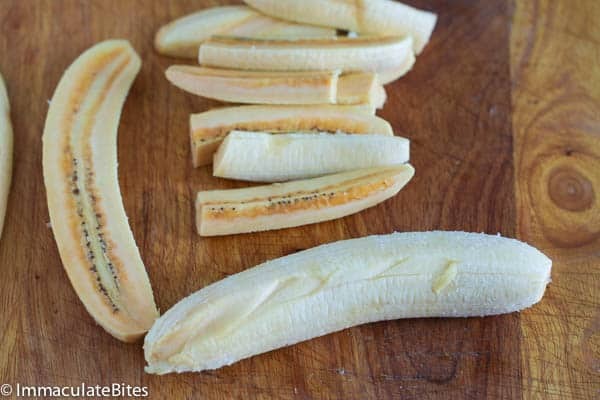 You are a plantain and Jerk lover? Girl we are so going to be friends. 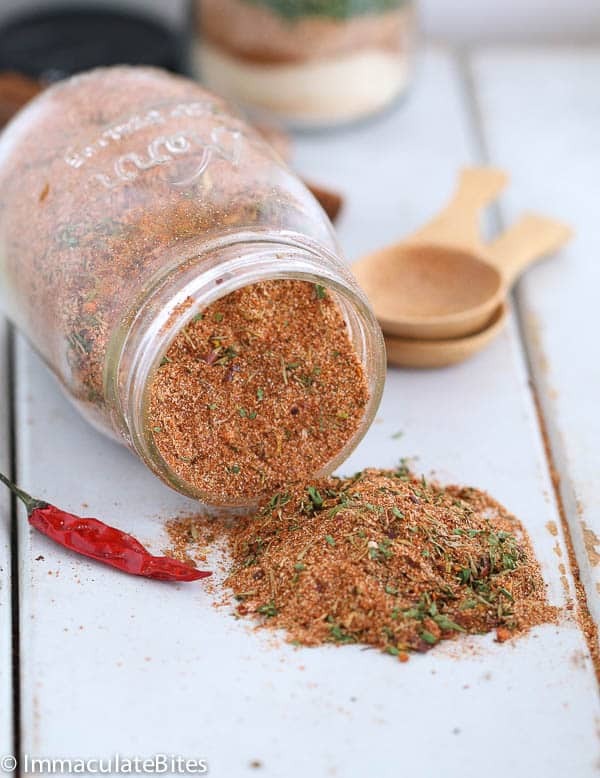 Pls Imma which one is jerk seasoning what type of seasoning can I use to substitute it?